Horopito: The Little Known, Yet Highly Effective Anti-Candida Herb - YeastInfection.Org by Eric Bakker N.D.
Have you ever heard of Horopito? Thanks to its extraordinary properties, this fantastic indigenous herb has been extensively utilized as traditional medicine for numerous decades by the Maori people of New Zealand. In this article, you’ll learn everything you need to know about Horopito, including how it can help to naturally prevent recurrent candida. How does Horopito look like? Did you know that the Maori (migrants from the Pacific Islands) traditionally utilized Horopito for many health ailments including some which are similar to recent scientific discoveries about the plant’s properties? In the following section, you’ll discover the ancient medicinal uses of Horopito as well as the latest science on the herb’s potent health benefits. All the factors mentioned above will cause a lot of digestive distress, creating the perfect environment for the candida to grow uncontrollably, resulting in both genital and digestive discomfort. This is why it is known as an opportunistic organism. Here are some fantastic news: There is a natural remedy to thrush which comes from none other than New Zealand’s pepper trees. In the treatment of thrush and the eradication of candida cells, Horopito extracts have proven to give quick and amazing results. In fact, naturopaths from New Zealand conducted a study and discovered that creams derived from active Horopito extracts improved the recovery rate of individuals suffering from genital Candida symptoms by a whopping 88.5%! Moreover, within hours after the first application, a decrease in itching and irritation was noted . Currently, we do not offer Horopito here at YeastInfection.org or Canxida.com however the closest thing would be Canxida Remove our anti-fungal formula. You can definitely consume Horopito tea as a treatment for digestive discomfort. You can also add some peppermint leaf if you’re feeling nauseated and anise seed to make the tea naturally sweeter. 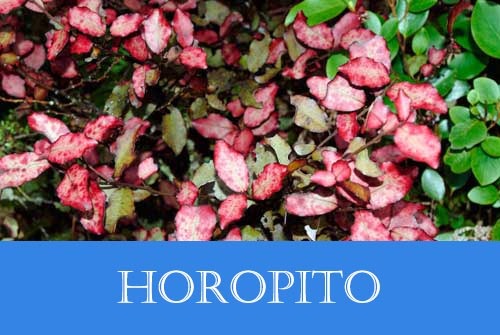 However, remember that Horopito leaves are peppery – you don’t want to use too much. To be on the safe side, you might want to purchase Horopito tea bags to get an exact dose. Using a salt grinder, mix Horopito leaves with some salt crystals (Himalayan salt would be a great addition to the mix). Safety studies on the consumption of Horopito have not been conducted for ethical reasons. As such, safety cannot be guaranteed for children younger than 12 years old. If you choose to give Horopito to a child, do so with your doctor’s approval and make sure not to use too much Horopito: remember that the herb is quite hot and can cause a burning sensation in the esophagus when swallowed. No research has been done on the use of Horopito during pregnancy or lactation. Although there is no evidence that Horopito may cause teratogenicity (disturbance of the embryo or foetus which may result in a halt in pregnancy or a birth defect), as a precautionary measure, pregnant or breastfeeding women should avoid taking Horopito. 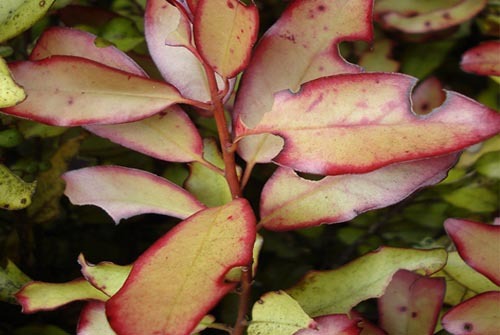 Well, Pseudowintera colorata has been used traditionally for a very long time and millions of doses of Horopito have been consumed in the last 20 years. Long ago, its leaves used to be chewed and then softly rubbed on women’s breasts at the time of weaning their babies. However, it did happen for some individuals to feel nauseated or get stomach pains after taking Horopito the first few times. This is due to Horopito’s natural heat which is similar to cayenne pepper. In very rare cases, Horopito can cause an allergic reaction. You can as a precaution rub little bit of cream inside your wrist and then leave it few hours to find out how your skin reacts.